Unfortunately not everyone is in a position to take 6 months off work to galavant around the globe. If a week vacation is all you can manage you can more or less justify a trip to Colombia, particularly if coming from the relative proximity of North America. The following intinerary gives you a day to explore Colombia's capital city, Bogota, a couple of days in Colombia's coffee region in the town of Salento and the breathtakingly beautiful Valle de Cocora, and finally a few days on the Caribbean coast with the splendid colonial architecture of Cartagena and the white sandy beaches of Las Islas del Rosario as the main attractions. The itinerary includes three one-way internal flights and two 45-minute bus rides. These 7 days in Colombia should cost a minimum of around $800 including flights and hotels (assuming you book early). This cost also obviously depends on your personal budget. Shrug off the jetlag, rise early, and spend the first of your 7 days in Colombia visiting the country's majestic capital. 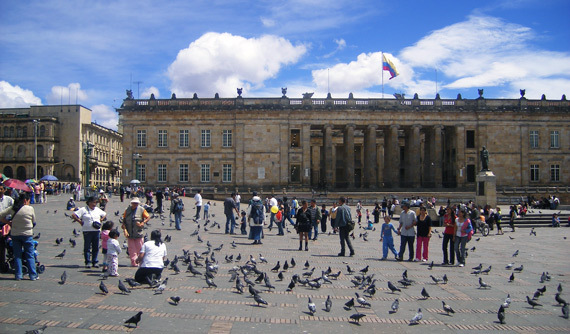 Start your day in La Candelaria, Bogota's colonial heart which includes the impressive Plaza de Bolivar. A few hours is enough to take a stroll through La Candelaria's charming streets and pop into one of the museums; the Gold Museum and the Donacion Botero are both well worth a visit. Try the Ajiaco, a delicious Bogota soup dish which contains pototo, shredded chicked, sweetcorn, capers and cream, accompanied by rice and avocado. - For some more walking and a spot of fresh air take a taxi to Parque Simon Bolivar, a huge park with a large lake in the middle. - For a decent view of Bogota and some good photos opportunities head along Carrera 7 to Edificio Colpatria, buy a ticket at the entrance and head up to the observatory deck fro a 360 degree view of the city. In the evening head to La Zona Rosa for a meal in one of Bogota's trendy restaurants and a drink or two. From Armenia take a bus to the small town of Salento. The ride takes about 45 minutes and drops you in the heart of Colombian coffee country. The highlight of staying in Salento has to be a visit to a coffee finca! Your hotel should be able to give you directions to a finca that provides small guided tours of the coffee-making process. However, an even better idea is to actually stay at a coffee finca. I would thoroughly recommend Finca El Ocaso Salento for your two days here - I've stayed there twice and absolutely loved it. The owners are incredibly friendly and helpful, and their coffee isn't bad either! In the evening stroll into the central plaza and try the delicious trout with "patacon" (a large kind of pancake made of fried mashed plantain). At some point during the day enquire as to how to get to El Valle de Cocora for the following day. Your hostel should provide you with info about how to organise a jeep to take you into the valley or where you can hire horses. 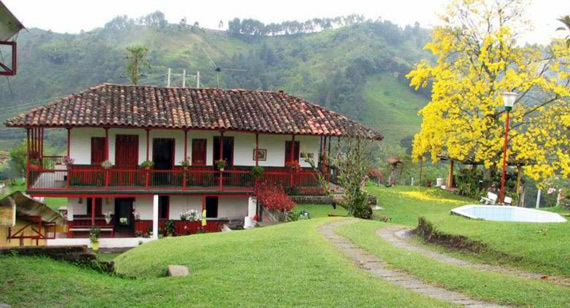 Spend the day in El Valle de Cocora. If you hire horses you can ride reasonably far up into the forest. There are trails that go for miles up into the mountains way above the tree line, but in one day you can get really far into the forest and find some good views back across the valley. 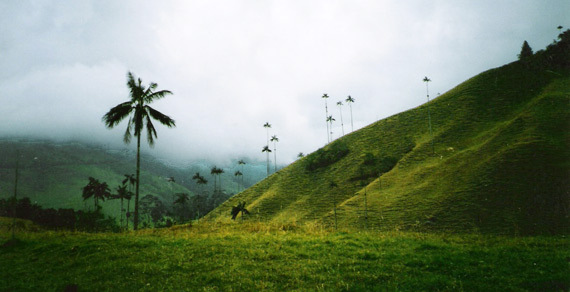 El Valle de Cocora is famed for its wax palm trees (palmes de cera) which are the tallest palm trees in the world and create stunning scenery dotted across the lush mountain slopes of the valley especially as the cloud rolls in. The town of Salento is a good place to buy local handicrafts which are sold both in shops and on the street. 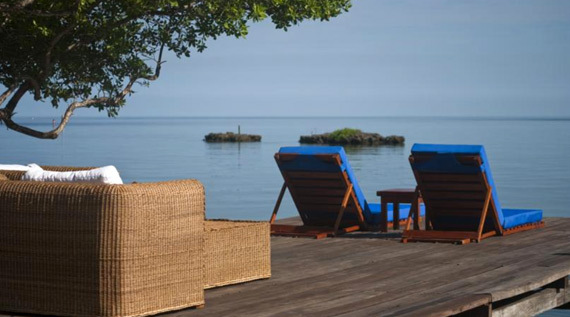 Return to Armenia and catch a flight to Cartagena on the Caribbean coast. Cartagena can get busy at peak periods (December / January, Easter week, July) so try to book your hotel well in advance. The two most common districts in which to stay are Bocagrande and in the area in and around the Colonial Quarter. My guide to hotels in Cartagena is a good place to start for booking you accommodation here. Depending on the time you arrive you should have a few hours in the afternoon to take a stroll or relax on the beach. 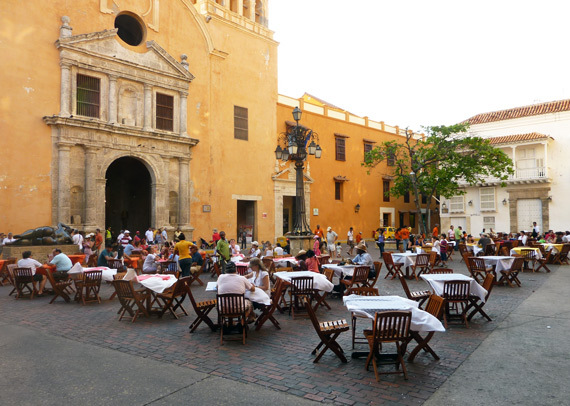 Head into the beautiful Colonial Quarter in the evening for a meal in one of Cartagena's delightful restaurants. Cheaper options are available in Bocagrande. Visit the Old Colonial Quarter of Cartagena. Spend some hours taking in the stunning colonial architecture and visit some of the museums and other attractions within the city walls. Cartagena can get very hot in the middle of the day so this is probably best done early in the morning or late afternoon after around 3pm. If you choose to walk around the city in the afternoon a good idea is to head over the San Felipe Castle a 5-minute walk to the east. 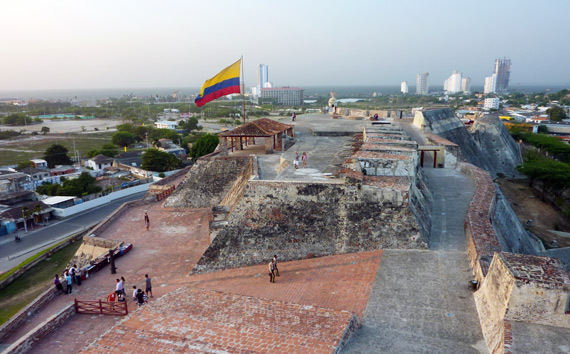 The top of the castle is a wonderful place from which to watch the golden sun setting over Cartagena. South-west of Cartagena are a beautiful set of islands known as Las Islas del Rosario. The following are two great ways to spend your final day in Cartagena. Take an organised tour into Las Islas del Rosario. Most tours include transport to the islands, lunch and a combination of SCUBA diving and snorkelling. The corals around the islands are incredibly colourful and the water is typically crystal clear. Tours usually leave Cartagena around 8am and return at about 4pm. Take a trip to Playa Blanca, a long white beach located on Isla de Baru. Boats leave for Playa Blanca from the same port where boats leave for Las Islas del Rosario. The boats will have you back in Cartagena by late afternoon. There are options of slow or fast boats, some with air conditioning. Fly back to Bogota. If you have a full day to spare in Bogota consider a day trip to Zipaquira to see the amazing Salt Cathedral. Catch your flight home and reflect on a wonderful 7 days in Colombia!